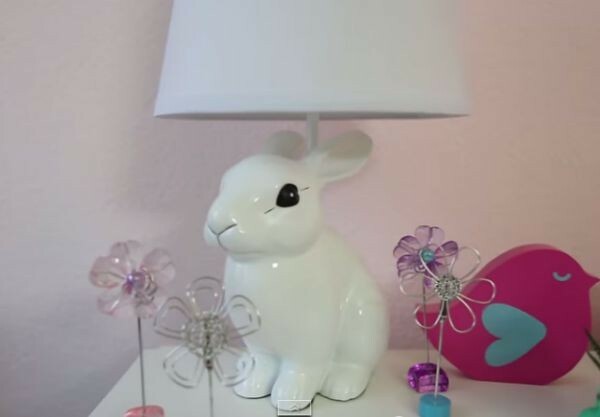 This is not your typical Show Us Your Nursery. But it’s definitely worth a look. 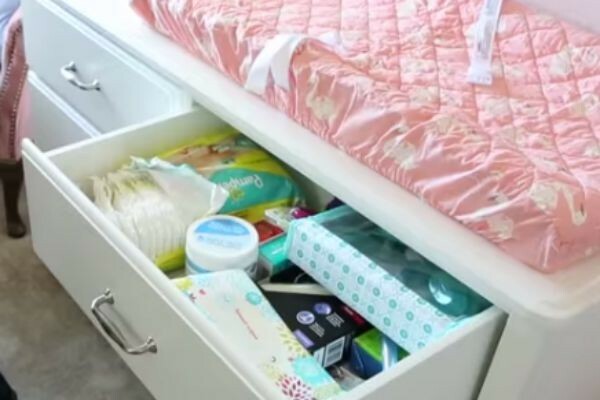 Come and take a peek inside baby Cici’s pimped-out ‘crib’. It’s no secret that we at Babyology love seeing the creative and elegantly-designed rooms of little ones. 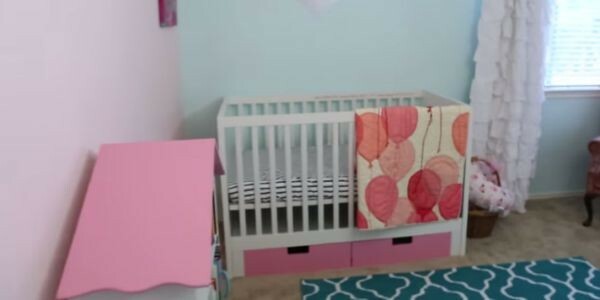 So when we stumbled across this video of little Cecilia’s nursery, created with love by her mum and dad, we couldn’t help but share. Parodying the popular television series, MTV Cribs, where readers get a glimpse inside celebrity homes, the dad-to-be, Bryan Canatella takes us on a tour of the nursery, complete with an elegant nappy changing station, an impressive reading corner, “chill spot” and walk-in-closet (if you’re a baby). The funny father-to-be gives his video the true authentic Cribs touch with funky background music, carefully staged camera angles, slow-motion effects and even the celebrity slang. Baby Cecilia has all the standard nursery accessories, including plenty of soft toys, a personalised baby blanket, an assortment of books, a knitted balloon quilt and a pink glider. Yet, the untraditional baby tour somehow makes her accessories, including framed photos of a gold bunny and magical unicorn, seem like high-rolling items on every baby’s hit list. This isn’t the first time Canatella and his wife, Caryn have filmed a winning video. Their surprise pregnancy announcement video is definitely worth a watch as the couple reveal their pregnancy to the family through a special Christmas gift. The Canatellas are counting down the days until baby Cecilia is able to test out her new digs. Caryn is due in August.